From 22 April 2019, new employment permits regulations will come into existence which broaden the eligible construction-related occupations and ensure that there are enough workers to manage the logistical workload arising from Brexit. 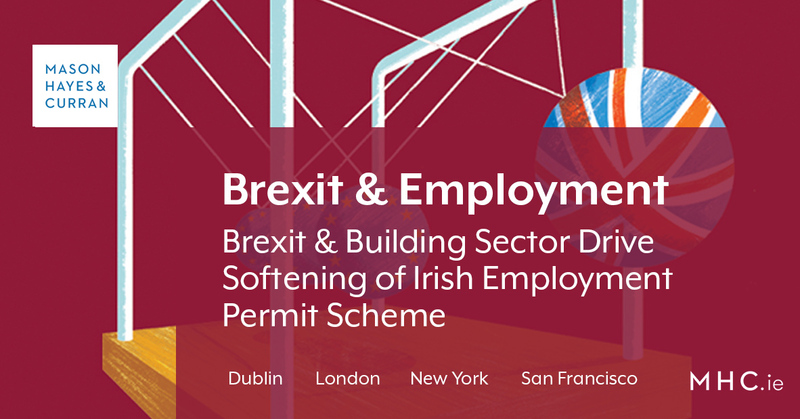 The regulations include additions to the Critical Skills Occupations List and deletions from the Ineligible Lists of Occupations resulting in an overall relaxing of the Irish employment permit rules. High Performance Directors and Coaches for high-level sports organisations. Ireland is continuing to make practical preparations for Brexit and our economic migration policy remains accommodating to the arrival of non-EEA nationals to fill gaps in the domestic economy. Discuss your related queries now with Ger Connolly.